Many manufacturers have augmented their channel strategies with MAP (Minimum Advertised Price) policies. MAP policies are not a panacea, but they can mitigate many channel control and conflict issues. In this guide, we expose 20 strategies and tactics for more effective MAP policies and programs. 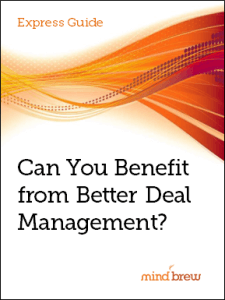 Can You Benefit from Better Deal Management? 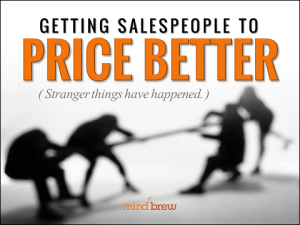 Horror stories of unprofitable or poorly managed deals seem to be all too common in B2B. In this guide by Elliot Yama, learn the common causes of bad deals and four signs that your deal management process is lacking.